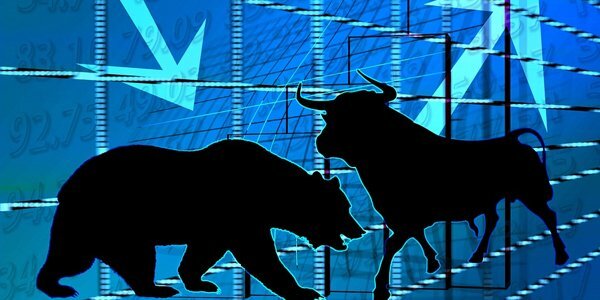 Market Update: Trade War Looms Large Over Equity Markets - Inukshuk Capital Management Inc.
April 7, 2018 /in Market Update /by Inukshuk Capital Management Inc. The very real risk of an all-out trade war between superpowers cast a dark shadow over stocks last month. A large selloff at the beginning of April also set the tone for what could be a difficult quarter for the markets. Volatility returned to Wall Street in March, with the CBOE VIX climbing back above the historic average. The so-called “fear index” spiked above 20 at the beginning of the month and then again in the final week, eventually reaching its highest level since early February. Need to update your financial plan? Contact us for a complimentary analysis. The VIX indicates market participants are concerned the S&P 500 Index could fall further from its most recent peak, which was set back in January. The index declined 2.7% during the month of March, bringing its year-to-date return to -1.2%. Equities would sell off again after the Easter long weekend, with the S&P 500 recording its worst start to April since 1929. The Toronto Stock Exchange declined sharply in March, as investors anxiously awaited the conclusion of NAFTA negotiations. Tumult in the oil markets also weighed on the energy-laden TSX Composite Index, which finished down 0.4% over the month. More notably, the TSX fell 2.2% from its March 16th high of 15,711.33. Canadian stocks have managed to recover over the past week but are still down more than 5% this year. One of the most noteworthy developments of the past month was the U.S. Federal Reserve’s decision to raise interest rates for the sixth time in three years. In doing so, policymakers projected a steeper path of hikes next year and in 2020 thanks to an improving economic outlook. Though the March rate hike was baked into expectations, rising inflation could force the Fed to adopt a more aggressive rate-hike path. That’s the general view of Goldman Sachs, which recently stuck with its forecast for four 25 basis point interest rate increases this year and four next year. The U.S. central bank will hold its next monetary policy meeting in May. Current Fed Fund futures prices imply a 3.6% chance of a rate hike at that time. The probability the Bank of Canada increases the overnight rate at its next meeting on April 18th is around 50% after leaving rates unchanged in March. Looking further forward, the Banker’s Acceptance futures market is pricing in another 50 basis points of hikes by the end of the year. Inukshuk Capital Management is dedicated to providing quality financial management to Canadians. Please click here to schedule a complimentary portfolio review with one of our professionals. Shelly Hagan (Mar. 26, 2018). “Goldman Says There’s No Need to Worry About Slowing Global Growth.” Bloomberg Markets.